Graduation and prom are almost here, so if you know any teenager that is thinking about drinking before getting behind the wheel, tell them to think again. Eight teens die every day from Driving Under the Influence (DUI). 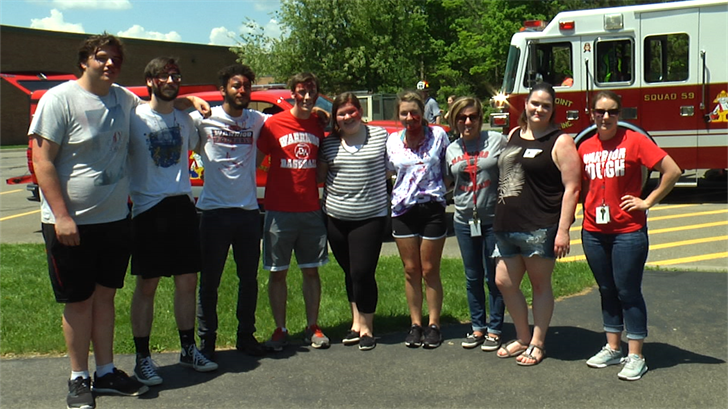 Chenango Valley High School's Students Against Destructive Decisions (SADD) are taking realistic precautions to raise awareness of the consequences of Driving While Intoxicated (DWI). 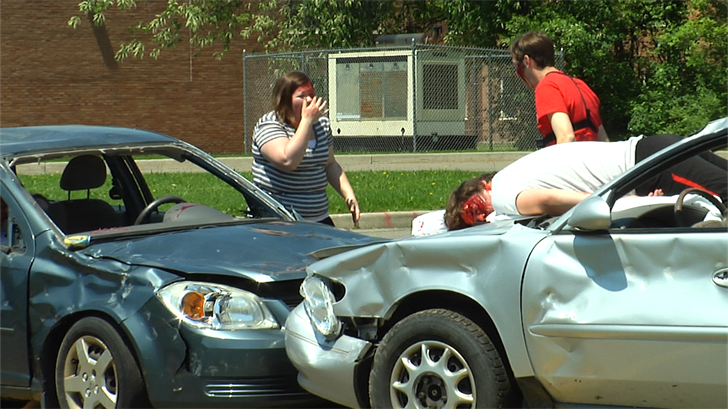 Tuesday, students and Emergency Service personnel gave a natural performance, on the high school's campus, of a worst-case-scenario that could occur during a vehicular accident. Calls to 911, police officers arriving at the scene, ambulances on-route, landing a helicopter, and even coroners pronouncing deaths; were all shown to help solidify an actual emergency a teen-aged driver could incur. "It really made you think about all the decisions you can make in life, and how one bad one can really change everything," said Vinny Rogers, Chenango Valley sophomore. Including Rogers, most of the high school student body attended the 'mock accident' and witnessed the horrifying realization that one of their classmates could easily meet the same fate as those acting. And no student or parent ever wants to go through the heartbreak of drunk driving consequences. "With my son being in the class, we don't want anyone that we know to be in any of these accidents," said Dave Abell, Five Mile Point Assistant Fire Chief. Dave Abell said today's performance serves as a reminder to everyone that no-one is invulnerable to driving under the influence, including the children of emergency personnel. "We want to make sure that these kids are going to make smart decisions and think before they get in the car. We never want to come upon someone that we know, " said Abell. Other Fire Chiefs on the scene of the mock-accident said they understand that teenagers regularly make mistakes, but losing their lives should never be one of them. And if this informative performance can help save even one more life than this mock-disaster is worth all the effort the students and those involved put into it (and they put in a lot of effort). "If it helps just one student, I'm perfectly happy with that," said Rick Larson, Hillcrest Fire Chief. But most importantly, remember that it is not just you who would be affected by your actions.